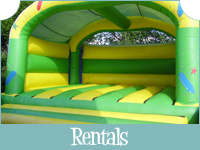 Bouncing Crazy offer bouncing castles for hire and sale along with various other types of inflatable entertainment products..
Our bouncy castles, along with super slides, inflatables, combi-units and sumo suits are available for hire all year round for all types of occasions such as children’s birthday parties, corporate events, school fetes, summer camps, BBQs, team-building, communions, confirmations and any special occasion. 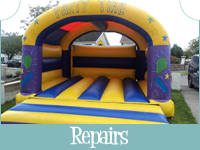 Bouncing Crazy Inflatables also has a specially designed workshop where our repairs team has many years’ experience in bouncy castle repairs and inflatable product repairs. 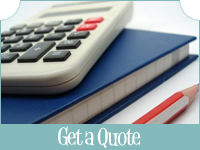 Our bouncy castles and inflatables are suitable for both indoors and outdoor venues.